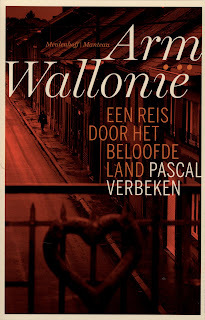 The Franco-Belgian publisher Le Castor Astral will publish the French version of Poor Wallonia - Travels through Belgium's promised land by Pascal Verbeken. For his highly acclaimed debut Poor Wallonia Pascal Verbeken did receive this spring the M.J. Brusse-prize, awarded by the Dutch Fonds Bijzondere Journalistieke Projecten (Dutch fund for investigative journalism and special research projects). Poor Wallonia is quintessential reading material for all who want to comprehend what is going on in Belgium. Furthermore it's a great read. In 1903 the French-speaking Belgian journalist Auguste De Winne wrote Travels through Poor Flanders, a classical report of a journey along ‘holes of sadness’ where poverty, famine, illiteracy and exploitation are omnipresent. One hundred years later, Pascal Verbeken undertakes the journey in the opposite direction. Verbeken goes on the road, through the countryside of the province of Waals-Brabant and further along the old industrial axis of the Borinage, La Louvière, Charleroi, Seraing and Liège. Verbeken makes a penetrating analysis of Walloon society, deals with numerous worn-out phrases and reminds the rich Flemish region again of its miserable past. Dozens of Walloons get the opportunity to say what they have to say. The result is a multi-layered moving portrayal of a country struggling to regain its lost pride. Meulenhoff Manteau, with registered offices in Antwerp, is a leading publisher of Dutch-language quality fiction and non-fiction in Belgium and the Netherlands. All authors and books mentioned on this blog are published by Meulenhoff Manteau. For all inquiries concerning foreign rights do visit our site. Join Meulenhoff Manteau on Facebook.